I have started this fun group with the R/S ladies. We are a group of women who love to eat yummy desserts. So we get together once a month and sample treats, share recipes and ideas and put some extra delicious pounds on together. Sounds great, right? 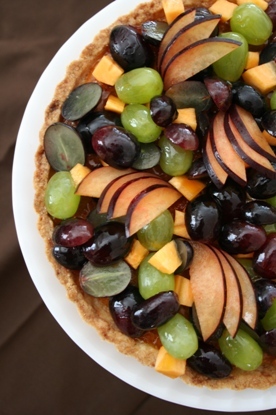 So for our first meeting, I made my favorite fruit tart to share. I think that everybody is very excited about our group and can't wait for the next one! I am looking forward to our fun and sweet adventure!